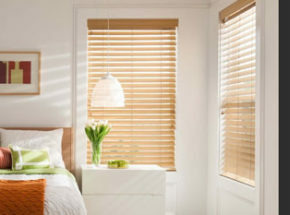 Achieve the perfect atmosphere in every room of your home with our blinds and shades. Choose from a wide variety of styles, fabrics, colors, and textures. Have a difficult window to cover? 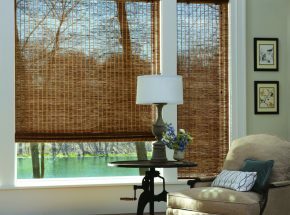 We can customize your window treatments to fit special sizes and shapes. Get a designer look in your home by choosing from our many styles. We have operating systems that will meet any of your lifestyle needs to provide convenience and ease of mind. 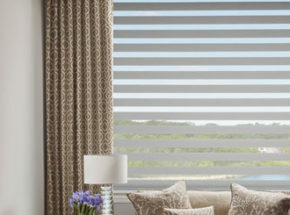 Make a statement in your home with the stunning patterns and prints using our different cellular and pleated shade options. 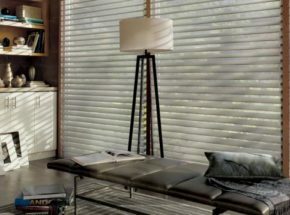 Constructed from the finest woods, alternative woods, and aluminum materials — horizontal blinds provide a beautiful range of options. 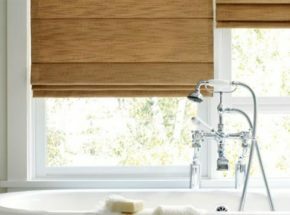 Roller shades offer a clean, contemporary look that works for any room style — offering ease and simplicity with an impressive range of sturdy and distinctively beautiful fabrics. An elegantly tailored modern look. The soft sculpted folds of a roman shade provide a classic style. Create beautiful effects with diffused natural light. 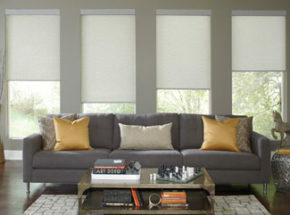 Sheers and shades soften the light that enters your home. 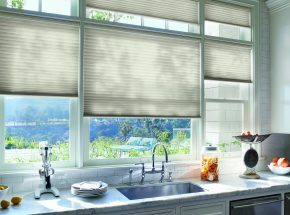 Transitional Shades offer you the privacy of a window shade, the softened view of a sheer, and the option of raising or lowering your shade with privacy control at every level. 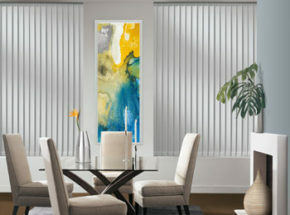 Ideal for wide window expanses as well as patio and sliding-glass doors — enjoy smooth quiet performance with vertical blinds.